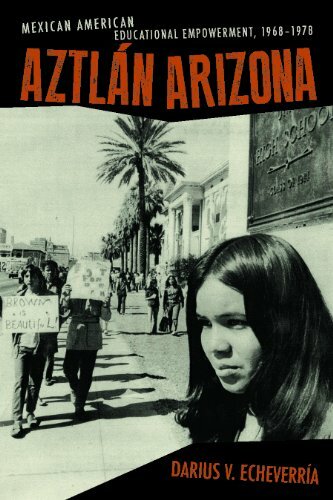 Aztlán Arizona is a history of the Chicano Movement in Arizona in the 1960s and 1970s. Focusing on community and student activism in Phoenix and Tucson, Darius V. Echeverría ties the Arizona events to the larger Chicano and civil rights movements against the backdrop of broad societal shifts that occurred throughout the country. Arizona’s unique role in the movement came from its (public) schools, which were the primary source of Chicano activism against the inequities in the judicial, social, economic, medical, political, and educational arenas. The word Aztlán, originally meaning the legendary ancestral home of the Nahua peoples of Mesoamerica, was adopted as a symbol of independence by Chicano/a activists during the movement of the 1960s and 1970s. In an era when poverty, prejudice, and considerable oppositional forces blighted the lives of roughly one-fifth of Arizonans, the author argues that understanding those societal realities is essential to defining the rise and power of the Chicano Movement. 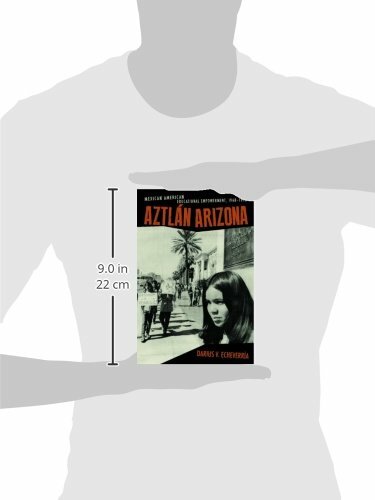 The book illustrates how Mexican American communities fostered a togetherness that ultimately modified larger Arizona society by revamping the educational history of the region. The concluding chapter outlines key Mexican American individuals and organizations that became politically active in order to address Chicano educational concerns. This Chicano unity, reflected in student, parent, and community leadership organizations, helped break barriers, dispel the Mexican American inferiority concept, and create educational change that benefited all Arizonans. No other scholar has examined the emergence of Chicano Movement politics and its related school reform efforts in Arizona. Echeverría’s thorough research, rich in scope and interpretation, is coupled with detailed and exact endnotes. The book helps readers understand the issues surrounding the Chicano Movement educational reform and ethnic identity. Equally important, the author shows how residual effects of these dynamics are still pertinent today in places such as Tucson.